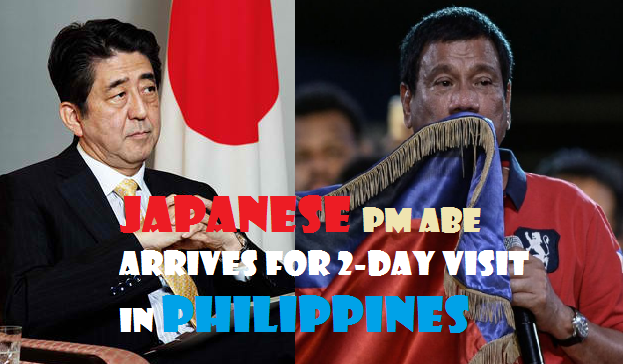 Home Agency DFA Duterte Government Japan Philippines Prime Minister Shinzō Abe State Visit Japanese PM Abe is in the Philippines. Japanese PM Abe is in the Philippines. Prime Minister Abe is warmly welcomed by President Duterte at Malacanang Palace. Davao City: Set to meet business leaders. Davao City: Visit President Duterte’s house. Visit the Japanese school Mindanao Kokusai Daigaku.